Just when we thought we couldn’t top last week’s huge slew of superhero news, even more news has come in this week about 2012’s biggest superhero films, Marc Webb’s Spiderman and Christopher Nolan’s third Batman film. One of the best actors from this year’s huge sci-fi film “Inception” was Tom Hardy, who played The Forger of Cobb’s team. The guy’s main job in the film was to convince Cilian Murphy’s character that he was dreaming by shifting into different people. The guy did a fantastic job in the movie, and oozed that old school charm that was going to bring him plenty of roles. Now it seems like he’s finally gotten his next big role, with who would have guessed it, Christopher Nolan. He’s been cast in Batman 3 as “the villain” of the film. Now what villain exactly he’s going to play is still up in the air, or even if he’s going to be the only villain. Joseph Gordon Levitt had been rumored to be the Riddler and it had been rumored that the Killer Croc would make an appearance, but so far word going around is that Hardy could play any character from the Riddler to Hugo Strange. The guy is definitely an incredibly talented guy and the fact that he’s been cast is a great bit of news for the project that’s finally getting underway. Last week Emma Stone was announced as Gwen Stacy, and this week, much to Dylan Baker’s dismay, the villain has been revealed. 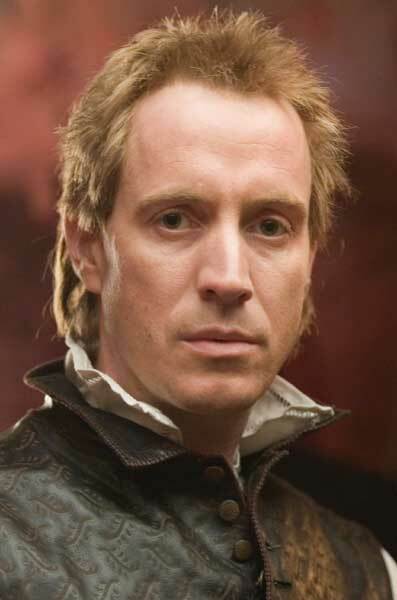 Rhys Ifans will be playing the Lizard in the new Spiderman reboot. Ifans has never been known too much for his bigger roles, but has had a few smaller roles in films like Greenberg, Nanny McPhee, and even the Harry Potter series. For those not comic literate, the Lizard aka Curt Connors is normally Peter Parker’s one armed science teacher, but after extensive research on growing back his arm with lizard cells, he ends up turning, well, into a lizard. It’s great to see the wonderful casting continue, and as one critic put it, Webb’s being alloted the time to make the best decisions by getting the best actors out there. Maybe Warner Bros could learn a few lessons about taking time with their projects when it comes to making their Superman reboot. though I don’t really know if I want to see lizzard as the first baddie….